Place all of the pesto ingredients into a blender or bowl of a food processor. Pulse until no large chunks remain, and the sauce is pureed. 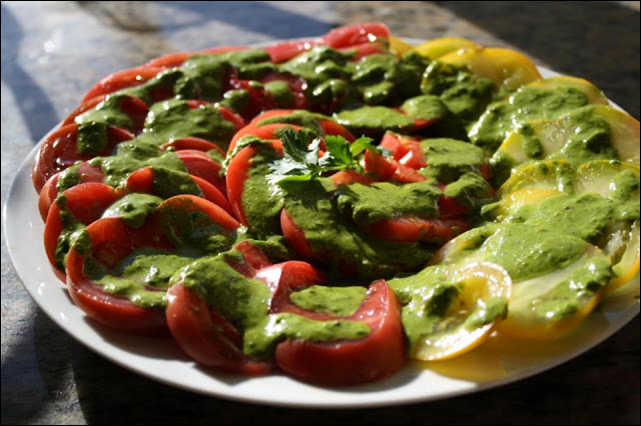 Arrange the tomato slices and drizzle sauce over freshly cut tomatoes.